The AWS Transit Gateway (TGW) Orchestrator is a feature in Aviatrix Controller. It provides a point-and-click workflow to build a transit network and manages all network routing updates. The Orchestrator runs AWS APIs and uses building blocks such as AWS Transit Gateway, Transit Gateway route tables and VPC route tables, to automate the transit network deployment. In addition, the Orchestrator extends the AWS native service to include multi cloud support and a scale out architecture for firewall deployment. Whatever requirements you had in mind, the Orchestrator got you covered. And here is what you can do with the Orchestrator. Point-and-Click Point-and-Click workflow is simple to follow and easy to deploy. Multi Account Support up to three cross accounts VPC attachments to TGW with a single pane of glass. Route Propagation The Orchestrator periodically polls TGW route table to monitor route changes from on-prem and automatically programs Spoke VPC route tables. Direct Connect TGW Direct Connect Gateway (DXGW) support. Internet VPN TGW VPN support. 100 Routes Support up to 100 routes (Per AWS VPN route table and DXGW route table limits). View Graphic view of TGW VPC attachments. List List view of TGW route table entries and VPC route table entries. Monitoring Continuous monitoring the configuration consistency and alerting for out-of-band changed. Terraform Terraform Generator that exports what you have configured. Use it for replication and expansion. Isolation Create network isolation by defining multiple Security Domains where VPCs in one domain cannot communicate with VPCs in another domain. Policy Create network connection of isolated segments by defining connection policies that allow one domain to communicate with another domain. Route Propagation Build network segmentation by creating multiple TGW route tables and automatically updates all TGW route table propagations. Unlimited Multi Account Support unlimited cross accounts VPC attachments to TGW with a single pane of glass. By deploying an Aviatrix Transit Gateway, you can use the Orchestrator to extend the deployment to include multi cloud Spokes. 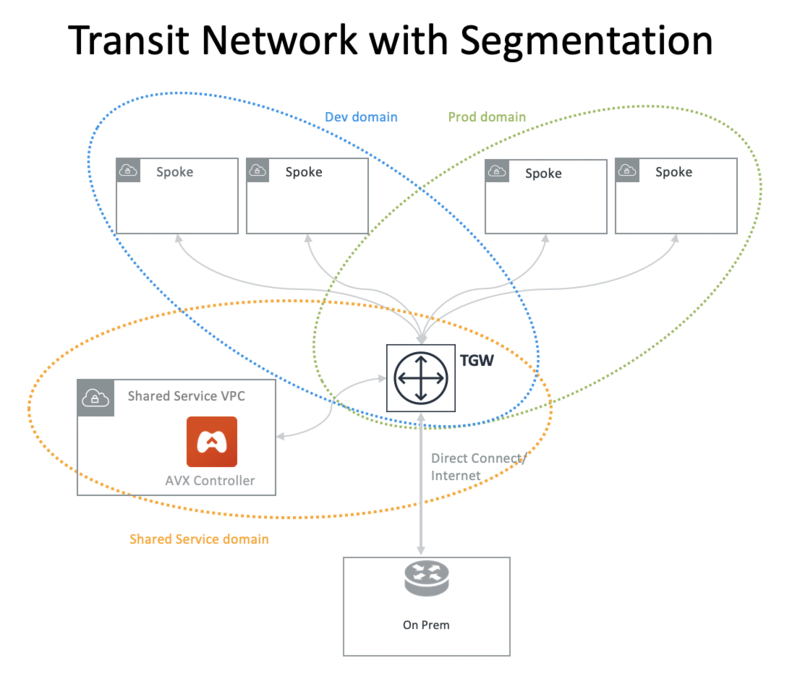 Azure Connect Azure VNets as Spokes to the AWS transit network. 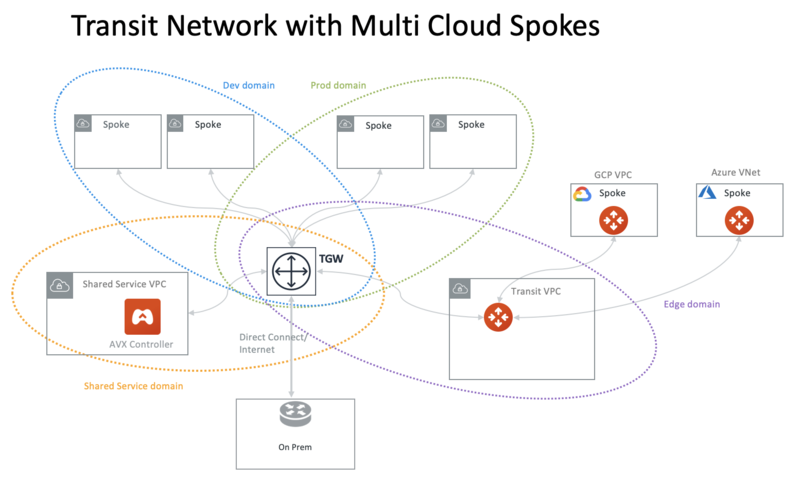 GCP Connect GCP VPCs as Spokes to the AWS transit network. 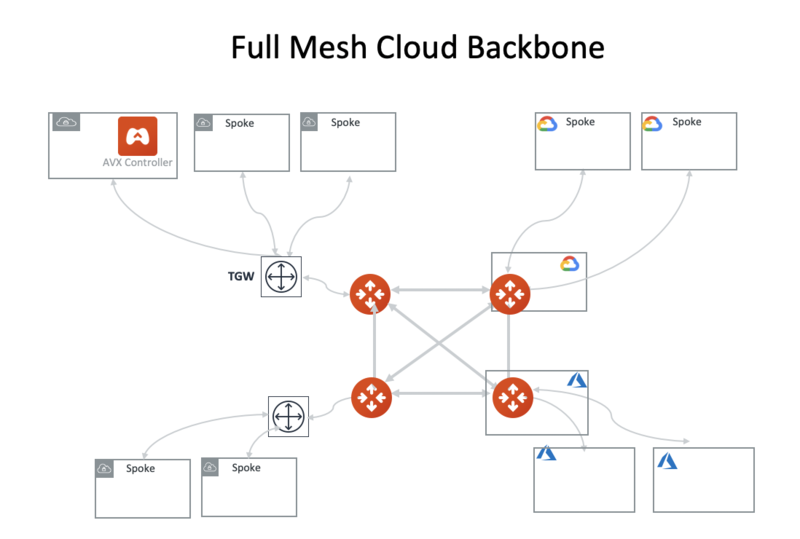 By deploying multiple Aviatrix Transit Gateways, you can build a full mesh cloud backbone. 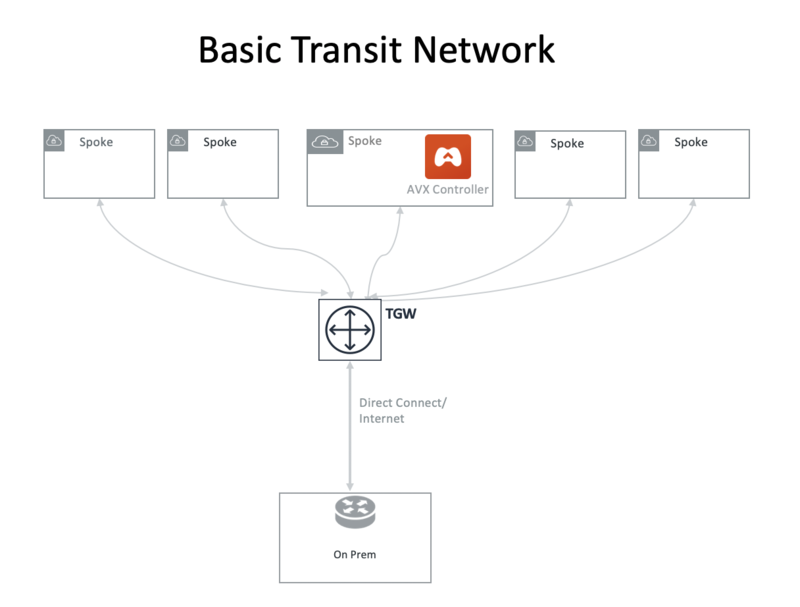 Azure Connect Azure transit network with the AWS transit network. GCP Connect GCP transit network with the AWS transit network. InsaneMode Performance Encrypted cloud backbone with InsaneMode high performance throughput. Agility Spin up your cloud backbone in minutes. No contract, no wait for months. © Copyright 2018, Aviatrix Systems, Inc Revision f138850d.